One pound and seven ounces. Round his body, eight inches. Round the wrist, one inch. Length of foot, one inch and a quarter. 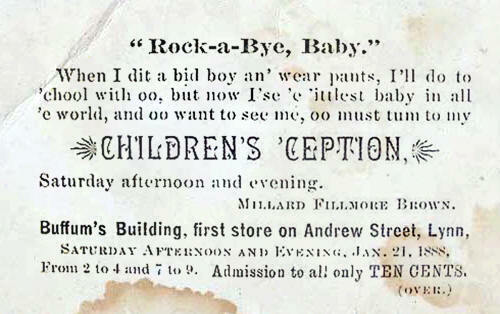 The Buffum Store on Andrew Street. Admission 10 Cents for Everybody. From 2 to 4 and 7 to 9. 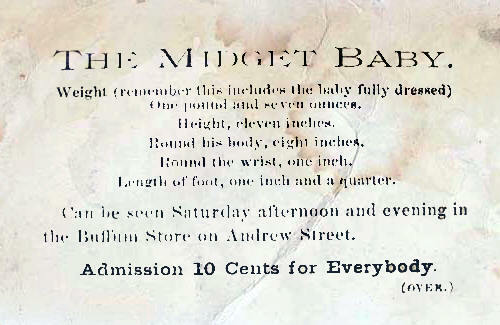 Admission to all only TEN CENTS.